(NaturalNews) The grassroots' fight to overturn California's SB277 forced vaccination law is not over, despite reports announcing its defeat. SB277, which eliminates a parent's choice to opt their child out of vaccination due to philosophical or religious beliefs, would immediately be halted if the referendum is able to produce 366,000 verifiable signatures submitted by California residents. 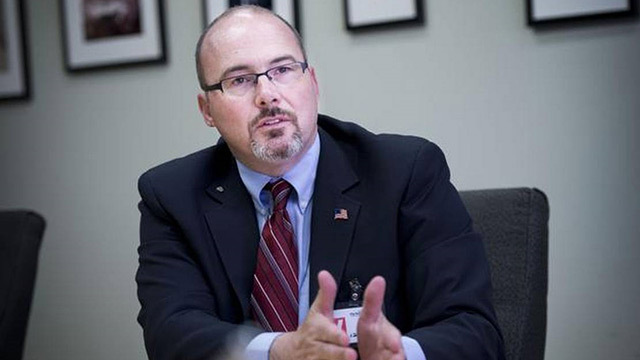 SB277 Referendum's leader Tim Donnelly confirmed to Natural News that the votes are not yet in and will not be made available to the public until October 8 by the Secretary of State Elections Division. When asked if Donnelly believed whether the referendum had reached their goal, he replied that he was optimistic they had, but also terrified they hadn't. While referendum leader Lauren Stephens announced on September 18 that they had an estimated 300,000 signatures (with 10 days left to collect), Donnelly admits that their "estimating skills may have been off" and their "assumptions didn't pan out." 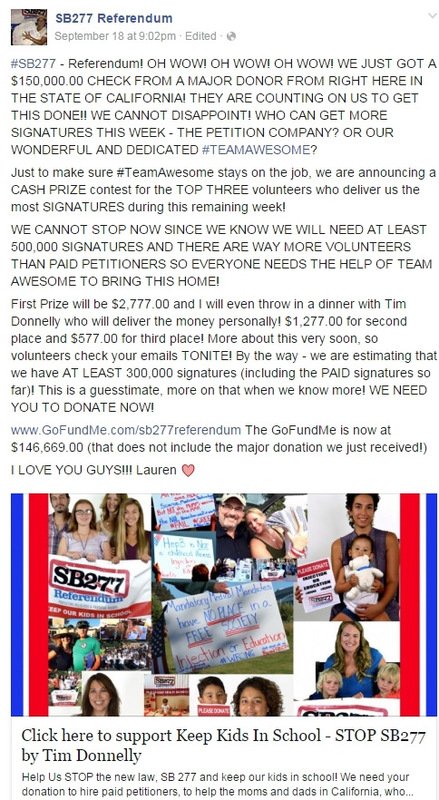 The paid signature gatherers employed through donations to the referendum effort were unable to produce the numbers that the group had anticipated. "The professional [signature] gatherers were greatly eclipsed by volunteers," said Donnelly, adding that passionate volunteers who believed in the initiative proved to be far more effective. Currently, signature totals are available for 25 of the 58 counties in California, with six counties receiving petitions after the deadline. Petitions received by county officials after the September 28 deadline will not be included in the final tally. You can keep checking here for access to signature updates during the raw count phase. Donnelly addressed our earlier report regarding allegations that the referendum had been sabotaged, both from without and within, stating he "does not yet have any concrete evidence or affidavits in his possession" to indicate that members of the referendum campaign intentionally disappeared signature petitions. He did reveal, however, that there is an ongoing investigation being conducted by the referendum organizers into whether or not any volunteers or leaders committed any misconduct that may have jeopardized the movement's outcome. In order for the Secretary of State to conduct an investigation, referendum leaders must provide evidence of any wrongdoing. In regard to the sudden disappearance of the referendum's official Facebook page, Donnelly said he was unsure why it was down, suggesting that it could have been censored by Facebook. Either way, he said Stephens, who is in charge of operating the group's social media pages, as well as the group's official referendum website, is working on getting it back up. Once the issue is resolved, Donnelly said the referendum's Facebook page will be up and running, providing supporters and volunteers with updates as the count deadline nears.